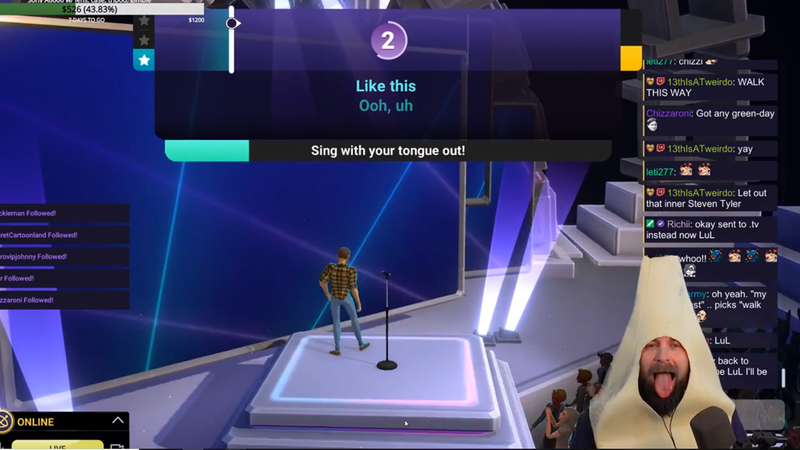 Twitch has released a new, free-to-play karaoke game called Twitch Swings. Harmonix and Twitch partnered together to develop the game, which was first revealed last year. Twitch Sings is launching with close to 2,000 songs and will get new songs over time. The game will tie in directly with players’ Twitch accounts, letting them stream the game without needing third-party software or extra equipment. This new game is inspired by the many IRL streams that are popular on the site, showing people painting, crafting, singing and more. The game will also support duets, using asynchronous multiplayer. One user will sing one half of a duet then save and upload it. Another player can then sing the other part of the duet and upload that clip later. As players sing more songs, they will earn XP and coins, which can be used to level up your profile and to buy new in-game items for your avatar. According to the Twitch Sings FAQ, the game is currently free but Twitch might add premium items or other microtransactions into the game at a later date. Harmonix, who helped create Twitch Sings, has a long history developing music and rhythm games, including the popular Rock Band and Dance Central games. Twitch Sings is now available to download on PC.